It's every family's nightmare, that one of your own will fall to Bacterial Meningitis turned Septic.If left undiagnosed, it can quickly lead to death. This spring Krista Messier's family got this diagnosis and Krista's life changed in a heartbeat. On May 17th Krista Messier was found passed out on her apartment floor by our Mother. She was quickly rushed to the hospital and was treated immediately for Bacterial Meningitis. The infection had rapidly become septic and attacked her entire body and brain. She was put on life support. Scans of her brain showed swelling so bad she was airlifted to Hamilton General where she quickly had a shunt inserted to reduce the swelling. The following day Krista was quickly taken to the OR to have part of her skull removed and her first vertebra to further reduce the swelling by giving her brain more room. Krista is currently confined to her bed, unable to breath on her own or move anything below her shoulders. Each day brings something new, from ulcers to blood clots to fluid in her lungs. From being told that we should say our goodbyes now, to encouraging her to take one more breath without the help of a machine these past 5 weeks have been hard on all of us, but mostly Krista. The recovery is going to take months, maybe even years. This goFund me page is to help our family with the expenses that have popped up and to help Krista get back on her feet once she beats this! Krista is improving each day, her movements are getting stronger on her right side and we're starting to see alot of improvement coming from her left side. She can wiggle toes and fingers on both sets of hands and feet; she can move her right leg in and out on her own, and even kick her right leg. Her left side will catch up. She's still on the ventilator but at this point it's more there since she's still missing her gag reflex. She's set some big goals for herself for the end of the year, and seeing how far she has come in less than 4 months, she might reach some of them! Krista's family and friends have stepped up to the plate with donations and support! Krista is still shocked by the amount of support she has recieved over these last few months! 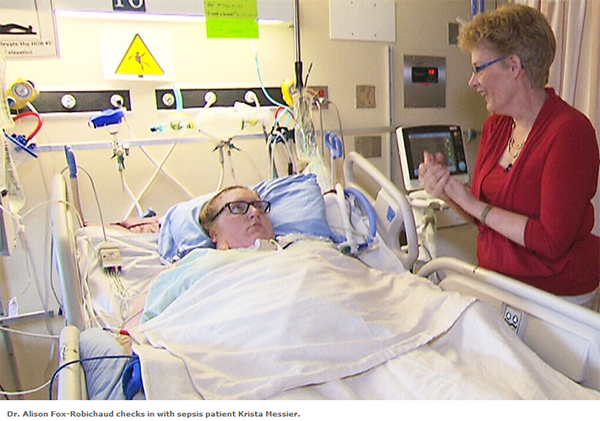 But Krista's needs will be ongoing and recovery could take months, even years. 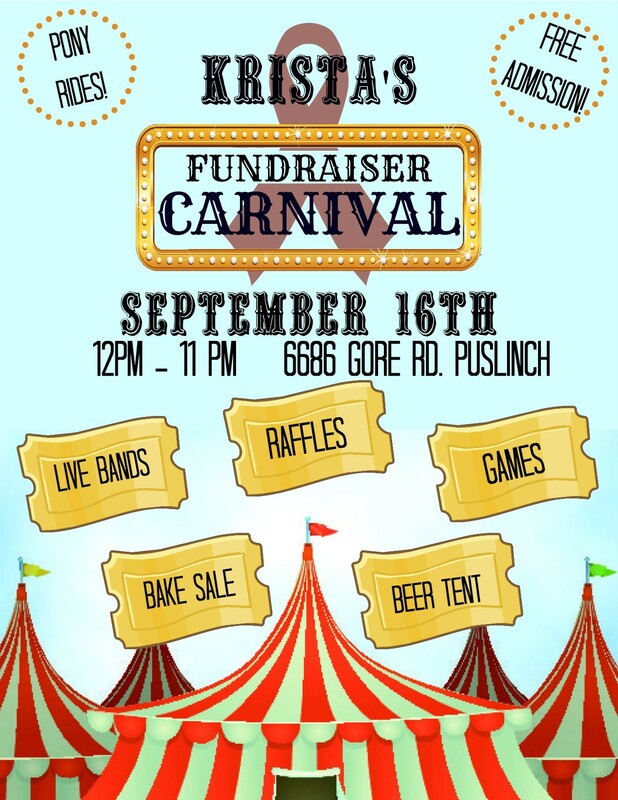 Come to Krista's BBQ on Saturday September 16th. It'll be a great way to learn more about the condition which could, without notice, affect one of your friends or family. Many individuals and businesses have contributed to this tremendous fundraiser event, including DiPietro's Meats and Deli who donated 150 meat patties for the BBQ without hesitation when they heard about Krista's story. So please come out and buy a hamburger in support of Krista. Help spread the word! Tell Your Friends...This is a great community family gathering for something and someone who really matters...A real celebration of courage and human kindness.